Connected Vehicles: The Next Big Thing for Digital India? Connected vehicles are conceivably the most exciting concept powered by IoT at this time. Cars today are already being packed with more electronics than machinery. No doubt in the future, through technical developments, connected cars will evolve further, providing personalization options that are typically expected from popular consumer electronics devices such as smartphones. Through smart platforms, IoT and telematics together have enhanced connectivity, communications and responses that offer infotainment, safety, security and enhanced vehicle management to drivers, passengers and commuters. India holds its own position in emerging as the next big frontier for connected automobiles. Presently, of all automobiles available in India, it is estimated that somewhere between 2 to 3 percent have some primary form of connectivity. However, as seen with smartphone usage, aspirations and applications of latest technology are on the rise in India. It is almost certain that the acceptance, and hence demand, for connected vehicles will grow exponentially across the country over the next few years. Globally, connected vehicles, have been primarily focused on four typical areas of service, i.e. navigation, information, safety and remote diagnostics. Some vehicles are being originally fitted/offered with proprietary services such as emergency warning, GPS navigation, integrated hands-free mobile with on-board systems, wireless safety communications and driving assistance systems. In addition, remote diagnosis of vehicle and alerts on technical and mechanical maintenance, centrally tracked real time by OEMs and their dealerships, are smartly enhancing car safety. Recently, Maruti Suzuki, by far India’s largest automobile company based on market share and unit sales, has announced the launch of ‘Suzuki Connect’, a new telematics solution system for its Nexa range of premium category cars. Based on a propriety telematics control unit, Suzuki Connect is an advanced integrated safety and connected car solution, designed to provide customers with improved safety, security and a user-friendly connected car experience, including vehicle tracking, emergency assistance, vehicle live location/movement status, service due reminders and driving behaviour analysis. Earlier this year, in association with Kerala State Women’s Development Corporation, Maruti Suzuki also launched “She-Taxi” service, with web-based convergent technologies that monitor and track activities of both passengers and cab drivers – all an extension and part of telematics for making taxi services safer for women. A lot is also being done in intelligent transport systems, where initiatives towards digitisation of vehicular information are being taken by the Government of India to improve driver and passenger safety. 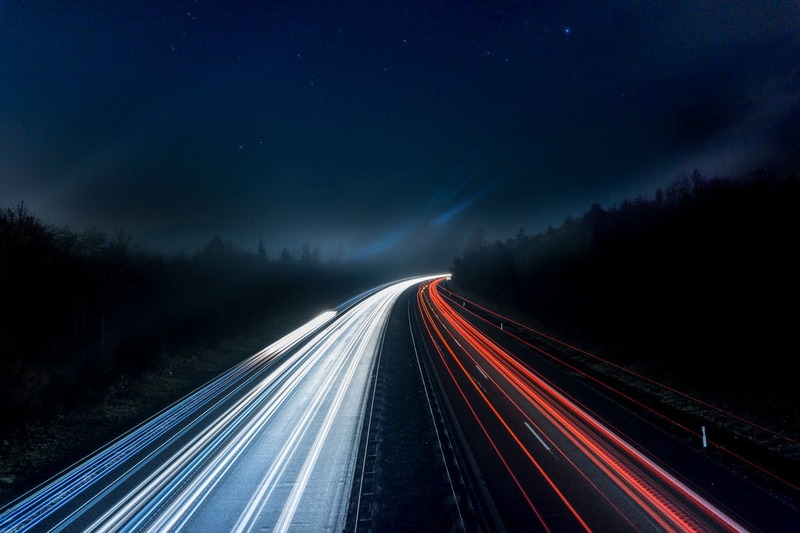 Utilising a combination of technologies and telematics, connected vehicles are proving to have a valuable impact on improving road safety through driver risk assessment technology and driver ratings. Real-time alerts triggered by deviations to standard driving practices and monitoring driver alertness are examples of beneficial applications resulting in the prevention of road accidents and improving efficiencies in traffic management. Connected commercial fleets are proving to be an effective solution for Indian logistic operators and external stakeholders such as state governments and insurance companies to manage vehicle operations, revenues, taxes and insurance premiums. Vehicular tracking and fleet management applications have already begun to capture a significant share of the emerging telematics market in India. Indian Industry and government awareness about V2V (vehicle-to-vehicle) and V2I (vehicle-to-infrastructure) is rapidly gaining momentum. For larger corporates, inter-connectivity of their nationwide vehicular assets, feeding data in real-time directly into enterprise networks, is proving to be a powerful productivity and efficiency tool. While connected vehicles growth estimates for India are on an upswing, it is critically important for the ecosystem and infrastructure to keep pace with this growth. Telematic service providers need to collaborate with specific solutions for automotive applications. Telecom companies in India will need to gear up to offer better data services and network solutions. Auto companies are already col­laborating with suppliers to de­velop embedded and in-built modules. The introduction of 5G will further enable connected cars to send and receive messages and application updates faster over-the-air. 5G will also facilitate faster V2I real time communications on road blocks or traffic situations, allowing drivers time to react and avoid congestion. No doubt, Internet-ready vehicles are also bringing a host of security concerns about the data being generated. Like smartphones, these new-technology connected cars will also need to address regulatory issues related to privacy, data protection, encryption and standardi­sation. Connected vehicles are indeed the next big economic and social thing for Digital India! 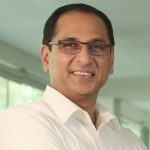 Vinay, Global Consulting Director with Counterpoint Research covering the automotive industry, has over 25 years of operational experience at senior leadership levels in India, Asia Pacific, and the Middle East. Associated with Ford Motor Company for over 18 years, he has held progressive international marketing, sales and service responsibilities in Ford India, Philippines and at Asia Pacific, planning, developing and launching several new products in these emerging markets. Based in Gurgaon, India, Vinay is focused on looking into analyzing industry data, identifying trends, drawing out insights and reporting stories on the continually evolving global automotive landscape. A marketing expert with technical and finance experience, he has a mechanical engineering degree from the Indian Institute of Technology, Delhi (IIT Delhi) and an MBA from Tulane University, New Orleans, USA.